So, why on earth would I look up 403 Malvern Road on Google Maps? Why did my brain not tweek something wasn’t right when Google brought up a location in Prahran? Why did I have to drive to that location in Prahran before I realised something wasn’t right? Damn I hate getting old. 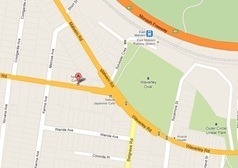 So, to get the address part right, it’s 403 Waverley Road, East Malvern. It’s called Tandoori Cottage. And it is some of the best value Indian food we have had for quite a while. The surroundings, both outside and in, aren’t particularly salubrious. The service struggles a bit. But the food is really, really excellent. Carol and I were there with two friends who consider Tandoori Cottage one of their “locals”. We were happy to drive there, based on their recommendation, and weren’t disappointed. And. And. Entrees and mains for four people with rice and roti – $120. Tell me that’s not great value in that part of town.